SIGNATURE FLEXIBLE PACKAGING inc., PURCHASES the CERTIFIED ecopure™ sr180v solvent recycler to reclaim and reuse their spent flexo press wash Solvent. In a continued commitment to the environment and reduction of solvent usage, Signature Flexible Packaging Inc., Commerce CA recently purchase a certified ECOpure™ SR180V Solvent recycler from PPCTS, for the recycling of their dirty flexo press wash solvent, used for the cleaning of the printing decks and inking systems of their solvent based flexo presses. By recycling their spent dirty solvent with the ECOpure™ Solvent recycler, Signature Flexible Packaging will be reducing their purchases of new press wash solvent by approximately 95%, with a corresponding reduction of waste disposal, positively impacting the environment and their sustainability, with an ROI of less than 1 year. 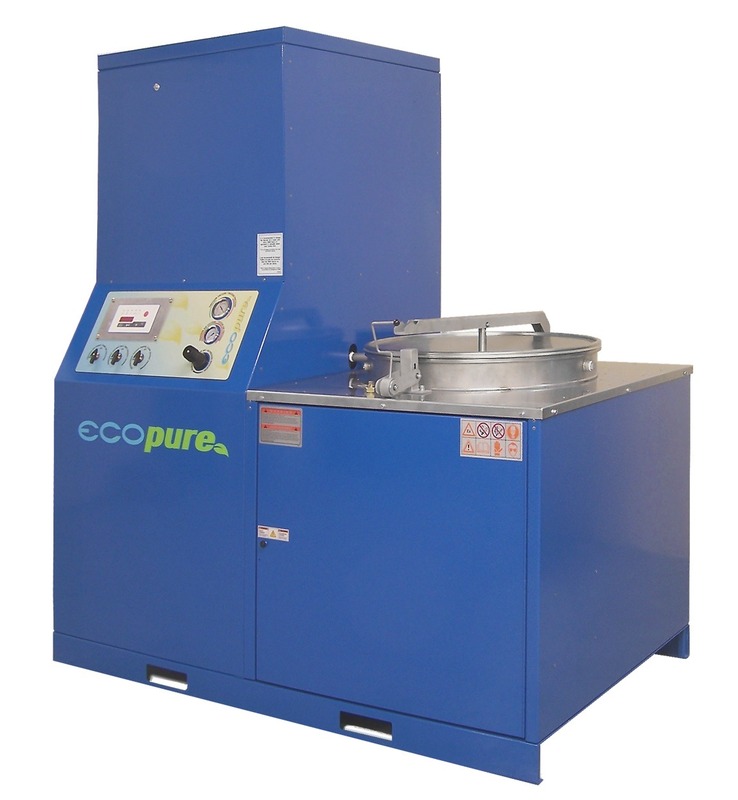 The state of the art ECOpure™ Solvent Recycler features one of the safest electronically controlled distillation processes that separate contaminants from the used solvent. The result is clean, distilled, original solvent ready for reuse. The ECOpure™ Solvent Recycler distillation process for flexo solvents is conducted under vacuum to increase efficiency with a recovery rate of 95% or higher. PPCTS offers ECOpure™ Solvent recyclers, in different sizes to meet each customers’ specific needs, which are certified under UL2208, Class 1 Div 1 Group Ex-proof, for Flexo Plate Developer and Flexo Press Ink System Wash-up solvents, Offset Blanket Wash solvents, as well as many other industrial use solvents. About Signature Flexible Packaging Inc.
For more information, please contact PPCTS at 262-695-7536 or visit their website at www.ppcts.com.